Spectacular updates abound throughout this waterfront home nestled along 36’ of Lake Nash. With 2 bedrooms, 2 baths, & a 1 car garage on an oversized corner lot, it’s the definition of move-in ready. Fresh paint inside/out is the frosting on the cake of the high-quality transformation of this home near the Tarpon Springs docks and beaches. New interior doors & hardware, new bedroom carpeting, sleek laminate flooring, window blinds, efficient LED lighting & new ceiling fans lay the foundation for the stunning renovation. The completely modernized eat-in kitchen features a beautiful breakfast nook with a ceiling fan and windowed views. Lustrous, soft-close cabinetry is richly accented with polished granite countertops, elegantly tiled backsplash, new sink, garbage disposal, fixtures and appliances. The finishing touch is a granite-topped center island that provides storage as well as a breakfast bar for casual dining. Adjacent to the cozy and sunny family room with access to the lanai; this is the stuff of which relaxing weekends are made. The sweeping formal living room/dining room combo allows for any furniture configuration. Neither bathroom was overlooked in this makeover. The master bath is luxe with new cabinets, counters, sinks, toilet, tile floor and oil-rubbed bronze fixtures. The second bath received the same distinctive treatment including wall tile and wainscoting. New landscaping and exterior lighting is paired with a new floor in the sunroom, outdoor carpeting and pavered patio. Perfection. https://trinityeastlakerealestate.com/wp-content/uploads/2018/03/LC-WebLogo-340x156-300x138.png 0 0 loricrawford https://trinityeastlakerealestate.com/wp-content/uploads/2018/03/LC-WebLogo-340x156-300x138.png loricrawford2016-12-29 06:54:382016-12-29 06:54:38Stunning Interior Updates! 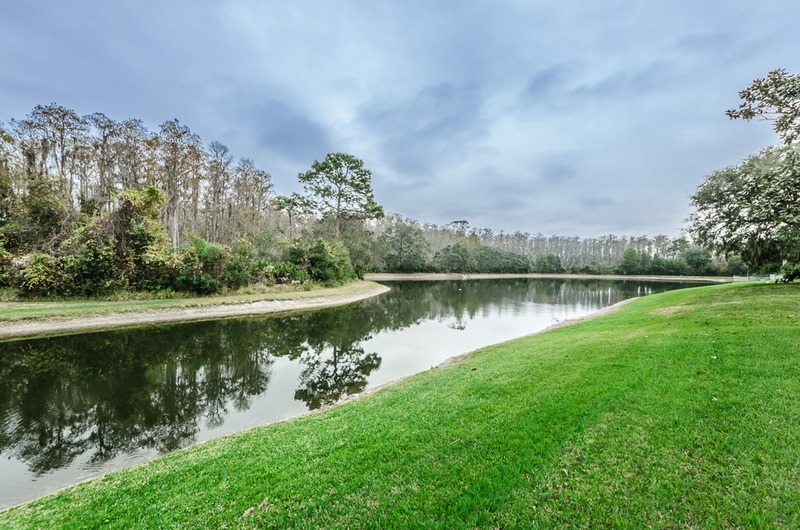 GORGEOUS Pond & Conservation Views! A soaring portico creates a uniquely welcoming space for this home’s exterior; complete with an artfully tiled walkway and brick planters that reveal elegant double doors dressed in delicate wrought iron. Situated on nearly .25-acres is this almost 2900sf house with 4 bedrooms, 2.5 baths, and a 2-car garage. Beyond a set of French doors is the stunning outdoor enclave featuring an exquisitely tiled screened patio surrounded in vibrant shrubbery, the perfect spa, and a built-in grill; all overlooking a lush conservation area and a pond that provides irrigation. Besides the formal living room and formal dining room, the eat-in kitchen is airily sunny with a charming window seat, in addition to tons of cabinetry, a spacious countertop, built-in task desk, and breakfast bar. The adjacent family room showcases a classic wood-burning fireplace with mantle and hearth. Vaulted ceilings in the master create the cozy, yet spacious feel of a luxury suite, while the bath with sunken garden tub, separate shower stall, and twin sinks with plenty of counterspace make the retreat complete. Even the tremendous walk-in closet is decked out in rows of racks for easy organization. All the bedrooms are expansive. The fourth bedroom offers ample space to run your enterprise, work at home, or easily transform into a private fitness center or playroom. 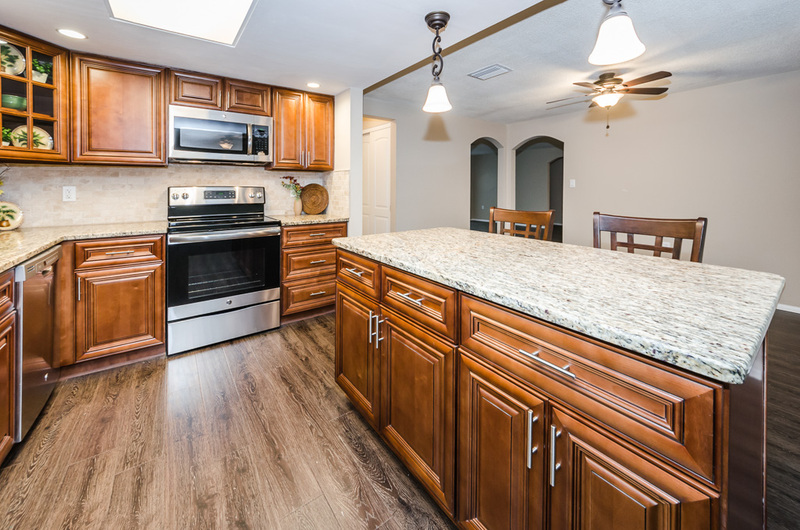 With a new roof in 2013, tile throughout with carpeting in the bedrooms, well-appointed laundry room; you’ll be loving life in the sought-after town of New Port Richey. https://trinityeastlakerealestate.com/wp-content/uploads/2018/03/LC-WebLogo-340x156-300x138.png 0 0 loricrawford https://trinityeastlakerealestate.com/wp-content/uploads/2018/03/LC-WebLogo-340x156-300x138.png loricrawford2016-12-29 06:47:312016-12-29 06:47:31GORGEOUS Pond & Conservation Views! CUSTOM UPDATES set this home apart. Bordered in upgraded xeriscape, concrete landscape curbing, and surrounded by velvety green grass in an exquisitely fenced backyard; this 1,810sf 3 Bedroom, 2.5 Bath, 2 Car Garage home in Trinity Preserve was built in 2015. A master planned community in centrally-situated Pasco County, the gated subdivision enjoys no CDD fees, & low HOA fees. Natural stone-hued, plank ceramic tile flooring lends a subtly elegant tone in the common living areas, while quality floor tile in the baths and lush carpeting adorn the bedrooms. For a modern spin on the traditional staircase, a striking wrought-iron baluster adds unique drama to the foyer and its soaring ceiling. 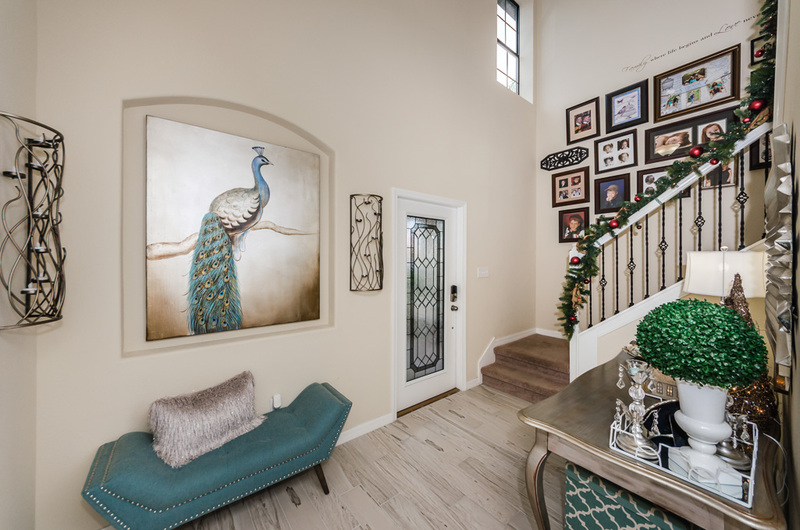 The front door features cut-glass panels and a sleek pewter finish handle and lockset which sets the tone for the spectacular interior that awaits beyond; one that includes an outstanding crystal chandelier and new ceiling fans. The contemporary renovations also include the finished look of stylish crown molding. This kitchen shows like a room out of a magazine, with additional nuances like a glass tile backsplash, along with an updated wainscoting treatment on the kitchen’s island to set it apart from the “typical” and adds another dimension to the granite countertops and rich wood cabinetry. The second-story master suite is an absolute dream. Loads of amenities grace this unique residence whose exterior updates include a paver driveway, and professionally cleaned and sealed, sidewalk and porch. https://trinityeastlakerealestate.com/wp-content/uploads/2018/03/LC-WebLogo-340x156-300x138.png 0 0 loricrawford https://trinityeastlakerealestate.com/wp-content/uploads/2018/03/LC-WebLogo-340x156-300x138.png loricrawford2016-12-23 10:00:202016-12-29 06:05:25Designer Touches Throughout!